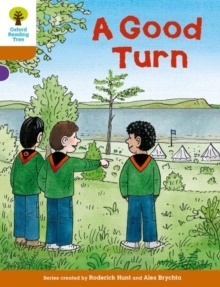 Chip, Wilf and Nadim are Cub Scouts in A Good Turn. 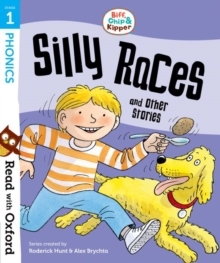 Can they do a good turn when the magic key takes them to the very first Scout camp?Biff, Chip and Kipper Stories: Decode and Develop are an exciting new set of stories from Roderick Hunt and Alex Brychta. Full of humour and drama with a delightful mixture of familiar settings and brand new magic key adventures to inspire young readers. 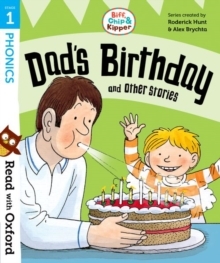 Featuring all your favourite characters, children will enjoy exploring the detailed humorous illustrations and be captivated by the storylines. 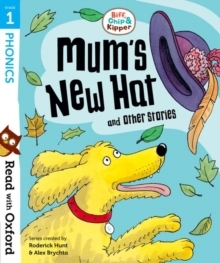 These phonics-based stories are perfect for embedding and building on children's phonics knowledge. They contain high-interest vocabulary to support language development beyond Phase 5 of Letters and Sounds. 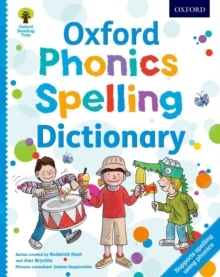 Each book contains inside cover notes to help adults read and explore the content with the child, supporting their decoding and language comprehension development.